Arno Dorian; in another time he could easily slipped into the role of Florentine nobility, or a hacker on the streets of Chicago. It is uncanny how well Ubisoft’s modern big-budget action games run together, narratively and mechanically. Assassin’s Creed Unity has managed to stand out, unfortunately for all the wrong reasons. Through Abstergo’s consumer grade version of the Animus, the Helix, Unity launches you through servers back to revolutionary France, predominantly Paris. Narratively, Assassin’s Creed Unity is an incoherent mess. The main arc the story consists of the miscreant Arno reeking revenge for the death of his adoptive father; uncovering clues and following up leads that see you decimating the Templar order. There are frequently large leaps in the logic of the storytelling, scenes and missions that don't quite flow, but close enough that you can eventually patch them together with your imagination. There are scenes where a side character will acknowledge next step, then arrive at the next mission only to ask you why they are here. Conversely, some characters will appear out of nowhere and have apparently witnessed everything, including scenes they were certainly not present for. It does not help that few of the characters are actually given any personality to work with, there are some quirky side characters, but the main cast is as stereotypical as one can imagine, and the support characters are never sufficiently explored. The cinematics, which are all in-engine do look visually impressive though, faces are detailed and well animated and Unity has some of the best hair technology seen to date. Many of these scenes broke; random non-playable characters walking into the scene, camera angles not changing, quick time events not triggering and so on. The characters deliveries leave much to be desired; there is a lot of audio that sounds blown out and doesn’t fit in-world and considering you are in France, the French language is used sparingly at best, usually for swearing. I can understand not subjecting the English player based to a dozen hours of reading subtitles, but really not even an accent? Assassin’s Creed II protagonist, Ezio at least sounded somewhat authentic, Arno doesn’t sell himself as anything other than a voice actor in a sound booth. 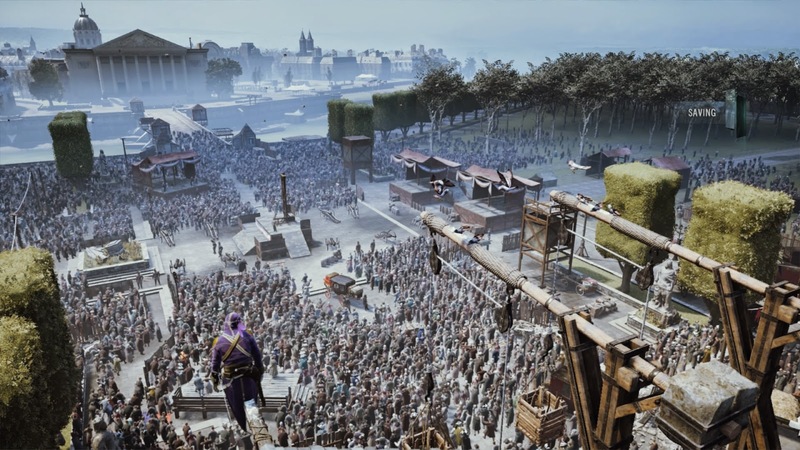 As with all Assassin’s Creed games, there is a certain amount of story set in the modern day, which is made all the more jarring in Unity by the inclusion of ‘server bridge’ levels every couple of sequences. These interludes, albeit brief, will transport you to a number of different time periods as you jump between Abstergo’s servers. It is largely pointless in terms of gameplay and story, all it accomplishes is to suitably interrupt the flow of the narrative you theoretically care about. Which is a feeling is have always harbored about the modern day ties in the Assassin’s Creed series. A revolution is happening around you, but you’re never really part of it; in one mission you're sent infiltrate a royal Palace that is being overrun by the mob, but when you get there you are greeted by the same red clad bandits you have been fighting the entire game. Despite being often squandered, the setting of Unity is by far in a way my favourite element; the meeting of thrown together buildings, roofing joining at odd angles, combined with baroque interiors, really sold me on period and place. Traversing the environment is less of a pleasure however, every gameplay interaction and experience is marred by bugs and technical inconsistencies. 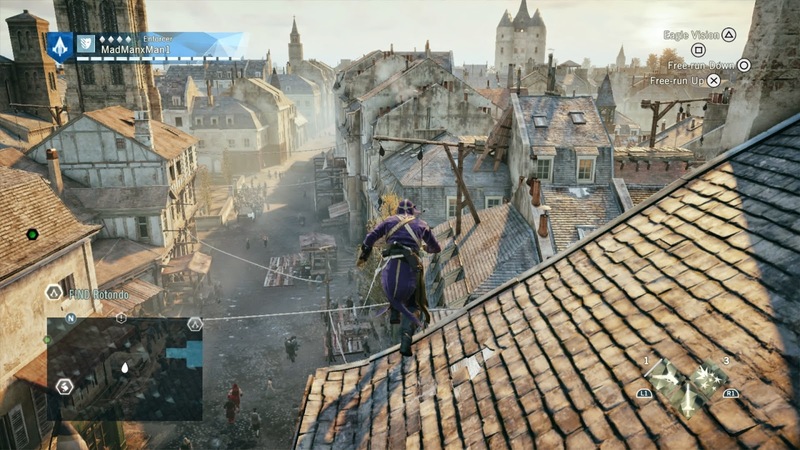 Arno will leap and bound off objects that don’t exist, or through those that do. He can be killed by falling through the map into the endless abyss, or perhaps by getting caught in the level geometry. The frame rate is the most abhorrent of these issues, it can jump between an acceptably smooth flow and a grinding mess. Of course, this permeates all elements of the gameplay. It is worth noting, Ubisoft continue to update the game, the most recent patch containing a 6.7GB “Refurbished Paris”. I have noticed no tangible change in performance since this patch, the framerate remains wildly inconsistent. “Here we go again, back inside a mess of broken code.” - Generic modern day assassin lady. grenades, making seeing the dodge and counter prompts even harder – though perhaps one-in-three prompts never show up anyway. Naturally, you can offset this difficulty by purchasing new weapons, armour and skills using one of the many currencies in the game, including Helix credits, which you can purchase with really money. You use Helix to “hack” the game, micro transactions themselves I don’t mind being present, but the prompt on death, telling you buy new gear to stop dying, coupled with the ridiculous prices of the upper tiers of equipment, felt really quite disgusting. Furthermore, it also makes me question why the combat is so hard in this game, is it really to create a greater emphasis on stealth? Or is it to pressure players into paying real money for single player unlockables? The stealth of Unity yields pretty inconsistent results; sometimes you are spotted despite obscuring objects and huge distances, other times you can just walk, or run right up to people and stab them undetected. elements well. There are often a few routes of attack, some highlighted as optional objectives. But the core mission structure is not one that supports the stealth, enemy encounters remain the same as previous games in the series, you will regularly be pitted against groups of two to eight enemies and expected to hold your own, some fights can theoretically be avoided but others are mandatory. Previously the chain kills would have made these fights bearable – if not fun – whereas in Unity they are constant source of death and anguish. Beyond speeding up the messy combat, chain kills served as a reward for players, a reward for your patience and timing. Simply removing them wholesale has reduced the combat to a state that feels broken. Perhaps worse even the original Assassin’s Creed, because least then the enemies weren’t stacked against you in such overwhelming force. I have witnessed enemies literally zoom meters, without moving their feet, and stab me, taking of half my health without a block or dodge prompt on screen, and trigger a badly synchronised execution animation. Arno’s own combat executions are well animated, for the most part, but there is no weight or tactile feel to them and many animations don’t synchronise with the other character model, making much of the combat appear awkward and broken. However, you cannot execute an enemy on the ground until you have purchased the upgrade, in fact you can't blend while sitting on a seat until you have purchased the upgrade - it is ridiculous and more than a little gross if you think too hard about their monetisation. The structure and objectives of missions haven't changed, it is still riddled with tailing and tackling missions with hard fail states, apparently the Assassin’s Creed IV Black Flag rating system didn’t yield fruitful results. The open world of Assassin’s Creed hasn't really evolved either, though plenty has been taken out. You do not really interact with the crowd, which is impressively large; they simply run around, and through, each other. You cannot even eject, or equip your wrist blade, it is only seen during the assassinations. You don't enlist the help of small groups of bandits or courtesans, nor can you call on your fellow assassins, or send them on missions. There are plenty of different colored chests however, that can be unlocked by using services outside the game, such as Assassin’s Creed Initiates. Unity introduces cooperative multiplayer missions, and heists, which are basically the same as single player missions only you are joined by up to three other Arnos. Only thanks to the dire state of Unity, the multiplayer is a breeding ground for bugs and glitches. 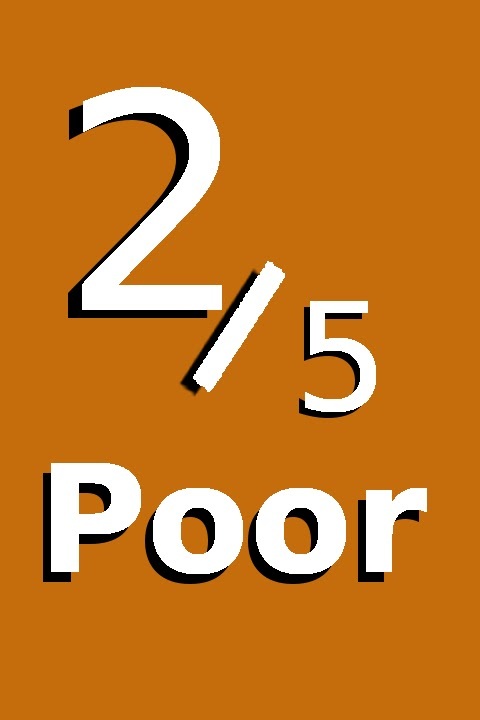 The missions I played were all quite bland, and the experiences I had were so rotten and so broken it is almost laughable. Almost. Assassin’s Creed Unity launched and remains a broken and messy game, hampered by poor performance and a cavalcade of other technical issues. Sadly, even if Unity were technically polished it would remain a disappointing game, too much of what makes the past Assassin’s Creed games great has been pushed aside and what is left in its place is not enough to satisfy. While I enjoyed exploring Paris, the city is merely a grid of meaningless side content and vendors; the crowds have no personality or humanity to them, they are simply buggy automatons. The patched together and barely coherent story is hardly a compelling reason to spend time in Paris either. 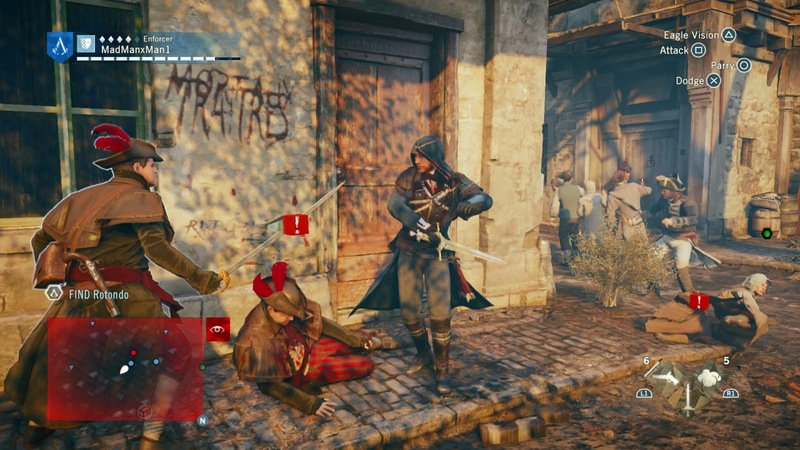 Assassin’s Creed Unity is frustrating, broken, and extremely disappointing. The niggling feeling that perhaps some of the core gameplay changes were implemented to encourage the buying of Helix credits is unforgivable.